Over the years, I’ve seen an increasing number of patients being diagnosed with fibromyalgia. 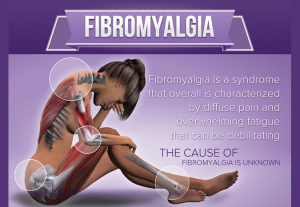 Fibromyalgia is a chronic pain illness characterized by widespread musculo-skeletal aches, pains and stiffness, which most commonly affects the neck, back, shoulders, pelvis and limbs. Patients with fibromyalgia experience a range of symptoms of varying intensity that wax and wane over time. The fatigue of fibromyalgia is an all-encompassing exhaustion that interferes with even the simplest daily activities. Many patients have an associated sleep disorder that prevents them from getting deep, restful, and restorative sleep. They often wake up tired and not refreshed even though they seem to get plenty of sleep. Fibromyalgia affects women 4 times more often than men, with symptoms often starting during menopause. 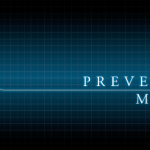 People over the age of 50 are also more likely affected. Fibromyalgia is a bit of a puzzle to Western medicine and there is some skepticism with regard to the existence of this disease. It is often considered a diagnosis of exclusion, that is to say, a name given to a collection of symptoms. Currently, there are no laboratory tests available for diagnosis. Doctors rely on a patient’s history, self-reported symptoms, a physical examination, and an accurate tender point examination. It is estimated that it takes an average of 5 years for a fibromyalgia patient to get an accurate diagnosis. 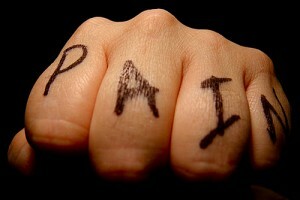 Have widespread pain in all four areas of the body for a minimum of 3 months. Have tenderness or pain in at least 11 of the 18 specified tender points when pressure is applied. The underlying cause or causes of fibromyalgia are still unknown, but new research findings seem to show that this disease is a disorder of central processing with neuroendocrine / neurotransmitter deregulation. Some patients appear to have alterations in the regulation of certain neurotransmitters such as serotonin and substance P, a brain chemical associated with pain, stress and anxiety, as well as depression. The Western treatment of this disease is based primarily on the use of analgesic and antidepressant medication. An important aspect of pain management is a regular program of gentle exercise and stretching, which helps maintain muscle tone and reduces pain and stiffness. Sleep medication can also be prescribed when necessary. Doctors seem to be more understanding of the importance of complementary therapies in treatment these days. Fibromyalgia is a chronic condition that requires time and patience from both the patient and the practitioner. In acupuncture, the treatment aims to treat the person as a whole by treating not only the symptoms, but also the root cause of the disease. Chinese medicine views the root cause of fibromyalgia as being a deficiency of Qi (fatigue) and Blood (sleep problems, dizziness, trouble concentrating). 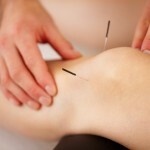 In general, acupuncture aims to treat the local painful areas with local and distal points to help reduce the pain, and to treat the underlying condition at the same time. Acupuncture is especially helpful for fibromyalgia sufferers in its ability to calm stress and help with insomnia and sleep problems.